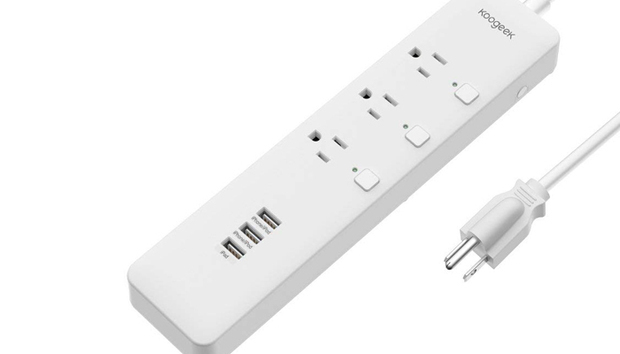 While smart outlets are rapidly becoming a dime a dozen, smart power strips remain a bit more uncommon. Koogeek’s O1US expands the alternatives beyond what TP-Link’s Kasa Smart offers, but comes up a bit short in comparison. First let’s look at the hardware: The O1US includes three independently controllable three-prong outlets, plus three always-on USB charging ports. Two of these USB ports (labeled “iPhone/iPod) are rated for just 1.0 amps each, while the third (labeled “iPad”) is a 2.1-amp socket. The lower-power USB ports are a head-scratcher, but the power outlets are an even bigger issue. With just three outlets, the O1US simply doesn’t give you room to grow. 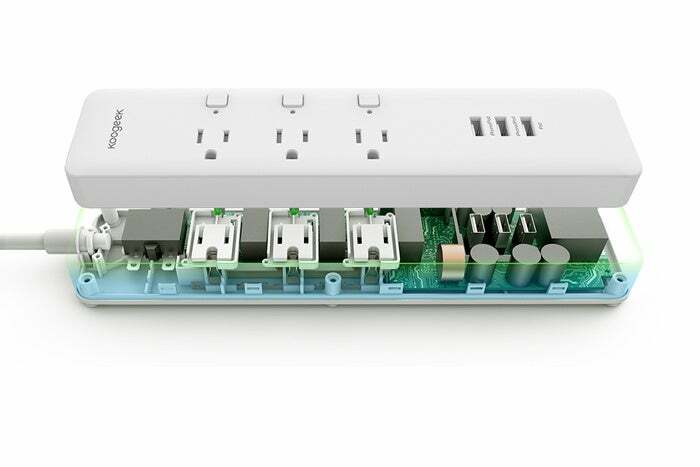 Competing smart surge protectors almost invariably include four power outlets or more (the Kasa Smart offers six). This limitation alone will be a deal-breaker for many would-be users. The three USB charging ports are a welcome feature; unfortunately, two of them deliver just 1.0 watts of power each. Aside from that, the O1US is surprisingly fully-featured. It’s a HomeKit device, so Apple users will find setup via Wi-Fi to be as easy as a scan-and-sit-back operation. I encountered no trouble at all getting the unit to join my home network, and after downloading Koogeek’s app and setting up an account, I was able to configure each outlet, rename them, and set up schedules without any trouble. Power consumption monitoring is included in the Koogeek app, and daily usage history is kept for two years. Koogeek’s app interface is a little goofy, though with a little patience you can find what you need. Scheduling is found under an option called “Setting Timer,” and in this interface you’ll find options allowing each outlet to be set with up to seven configurable schedules. Setting a timer is easy enough, but again, some polish is in order: Schedules are configured on a 12-hour clock, for example, but the app displays your active schedules on a 24-hour clock. 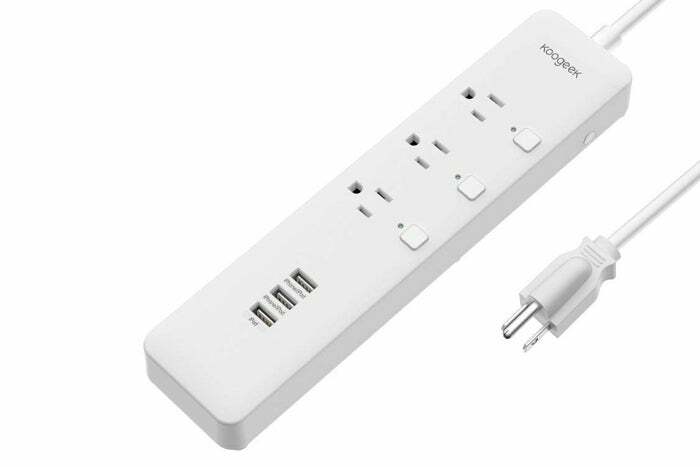 The Koogeek O1US partially makes up for its having just three outlets by providing a manual on/off switch for each of them. The Koogeek O1US supports both Alexa and Google Assistant, and I had no trouble adding the surge protector to my Alexa system, at least after I found the right skill to download. Koogeek has two, and the one you want is called “Koogeek Smart Home (Not work with P2).” That is not a typo on my part. 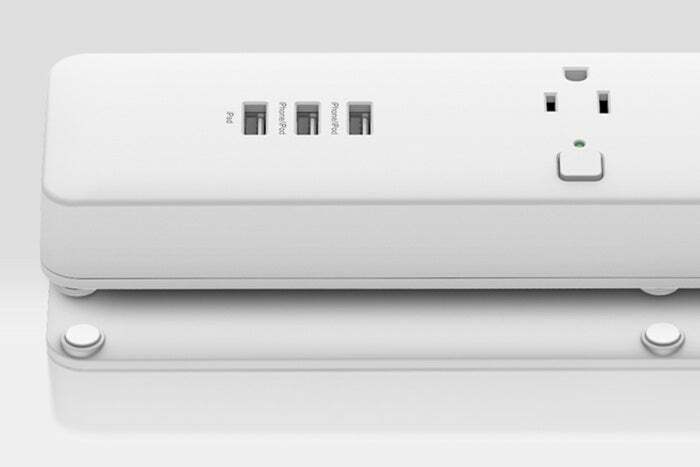 Aside from the three-outlet limitation and the two low-powered USB ports, the other major problem with the Koogeek O1US is its price: $70 at press time makes it only $10 cheaper than TP-Link’s superior product, but it’s more than double the price of competing smart outlets that have four outlets. It might have marginally better features than most of those, but it’s still a tough sell—particularly given that most users will probably need to buy two to equip the typical surge-protector environment.